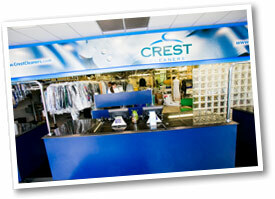 Get a $25 credit for every $250 in dry cleaning. Forget the punch cards and the keychains. We sign each customer up automatically with any order. We’ll track your progress for you, and you’ll be cashing in your gift in no time. You can always check your progress through our Customer Connect Portal to see your rewards balance and other account information. We’ve recently updated our rewards system to deliver your rewards electronically to your inbox the moment you reach the benchmark. No more waiting for snail mail. Note: The new rewards program requires that the $25 rewards coupon be used in one visit. We also offer the Good Will Fundraising Program to support our community’s youth organizations. Find out more.